Going forward, justice may finally be done for composers who score and arrange their songs on tape and who have been systematically exploited by the music industry. 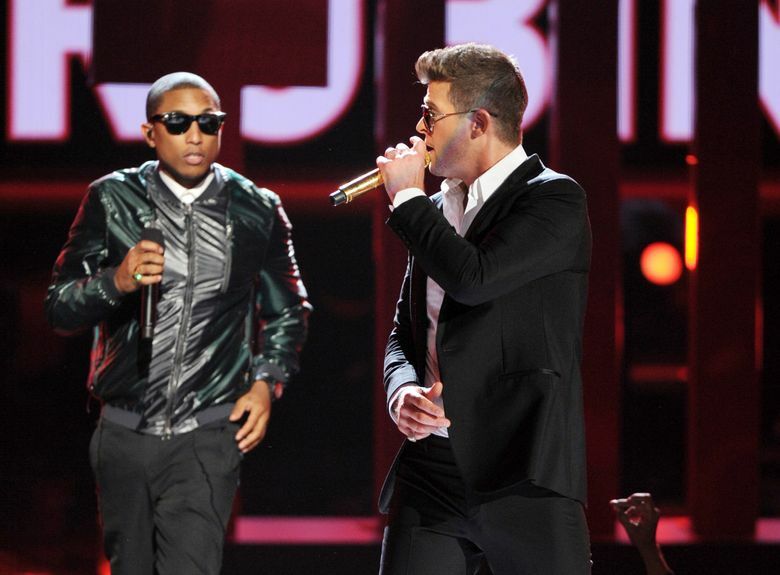 Unhappy with the result, Thicke and Williams have just requested a rehearing of the case. They are likely bolstered by critics who claim composers will be stifled and fearful because of the ruling. But the sky is not falling: The creation of new music can proceed as it always has before. In fact, the ruling may clarify the scope of musical works, by endorsing audio recordings as evidence of the compositions of “aural” composers who do not use European-based sheet music. This advances social justice for songwriters from disadvantaged backgrounds who were exploited under earlier copyright registration rules and fosters the creation of original compositions going forward. Sean O’Connor is a law professor at the University of Washington in Seattle; Lateef Mtima and Steven Jamar are law professors at Howard University. In our litigation system, contested facts are usually sent to the jury. A judge will decide copyright infringement as a matter of law only where there is a complete absence of credible evidence on one side. In the “Blurred Lines” case, expert musicologists for both sides presented reasonable evidence. Consequently the trial court rightly submitted this factual dispute for the jury to decide, and the appellate court affirmed that decision. All parties agree that neither musical style nor musical genre is protected by copyright. Style and genre are abstractions that identify the kinds of musical elements repeatedly used by a composer (style) or by composers in a particular musical field (genre). As abstractions, or ideas, they are not copyrightable. Groove is not an abstraction, but rather the particular rhythm instrument parts of a composition taken together. As with any other specific and original composed parts, or particular original combination of parts, a groove can be protectable. The Gayes’ experts identified particular expressions of both (1) individual elements, such as an original bass line and vocal melodies, and (2) a compilation of musical elements. They also opined that these elements had been copied by Williams and Thicke. The Thicke parties retained their own experts who disagreed. Because of the importance of observing witnesses and experts firsthand in making decisions about credibility, appellate courts normally defer to jury verdicts absent fatal procedural errors. It is not a judge’s role to second-guess evidence properly presented by a party. The underlying rules of law and procedure have not been changed by the “Blurred Lines” decisions. Indeed, the decisions are examples of those rules being applied in a straightforward fashion. But something else may have changed for the better. Gaye, like many iconic 20th century pop composers, was not fluent in European-based sheet music notation. The copyright registration system of the time required “aural” composers (those composing by ear) such as Gaye to submit written notation. Music publishers had employees score a bare-bones interpretation of the composer’s actual song, which might not contain all of its parts, as a placeholder for the full composition. Multitrack recording technologies allowed aural composers to “score” and arrange their songs on tape. Actual recordings are the best evidence of the full scope of the composition. The year after Gaye composed “Got to Give It Up” in the recording studio, the U.S. Copyright Office changed its rules and allowed the deposit of audio recordings of musical compositions for copyright purposes. In an amicus brief to the appellate court we argued that courts should allow such recordings as evidence of the full scope of aural composer’s works. The appellate court noted this and stated that trial courts could address the use of this evidence. Going forward, justice may finally be done for aural composers who have been systematically exploited by the system.